OPTEX will be exhibiting integrated and smart perimeter security solutions including its newly launched Quad beam detectors, its upgraded fibre optic fence sensors, intelligent Laser scanner, and new integration with Video Management Software platforms at IFSEC 2014. OPTEX will also be previewing two new product ranges  people counting and tail-gating solutions. 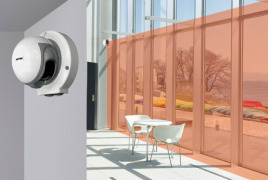 Since the launch of its REDWALL IP sensors range last year, OPTEX has added key VMS suppliers to its integration list and will be demonstrating its latest integration with AXIS ACAP, enabling the IP sensor to connect straight to AXIS cameras. Also on the stand will be OPTEXs fibre optic fence sensors, Fiber Sensys two and 25 five zones REDFIBER and FD525-Halo that have been upgraded with a new fibre optic cable technology, enabling a quicker deployment to keep the cost of installation down. Finally, OPTEX will be previewing two new product ranges, a people counting solution delivering over 95% accuracy developed in association with Giken Trastem Co Ltd, and a tailgating sensor that identifies when more than one person tries to enter an access controlled environment when only one person has authorisation. This technology is used in high security applications including revolving door entries at key governmental and banking facilities. Ricky Miwa, General Manager of OPTEX Europe, says these new developments show that the company is at the forefront of research and development for sensing technology: We are actively engaging in a number of key technology partnerships globally to provide our customers with more integrated solutions. Physical security products cannot be just sitting on the edge but have to be fully integrated with the bigger security systems, and this year we have a number of very exciting product developments and new technologies to demonstrate to visitors at IFSEC, he says.